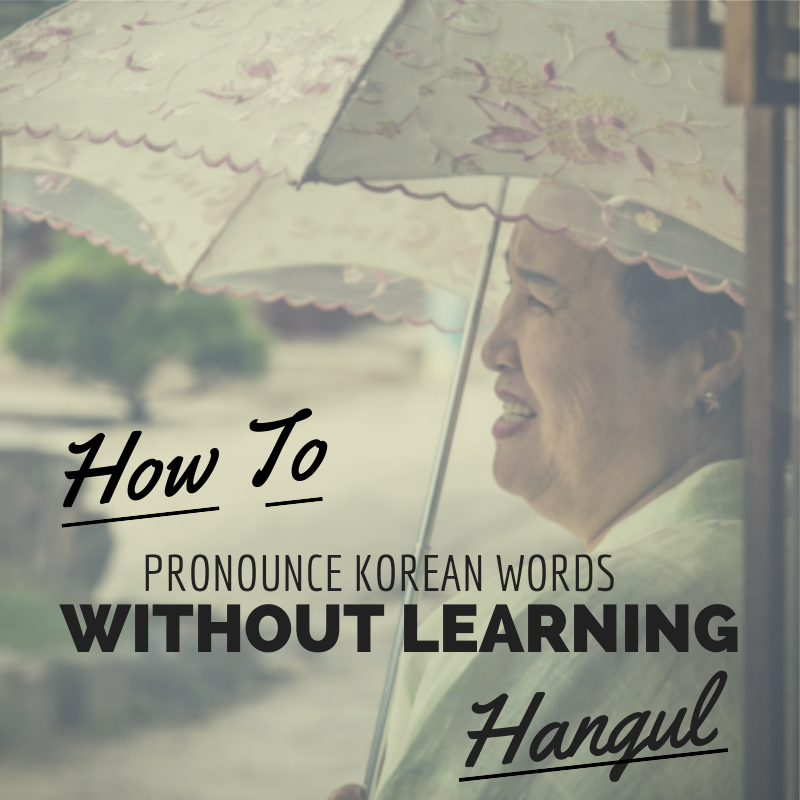 How to Pronounce Korean Words… Without Learning Hangul! Even though learning hangul, the Korean alphabet, will make your life in Korea infinitely easier, I know a lot of people can’t be bothered to study a language for a place they’ll only live for a year or so. That’s why I’m going to teach you how to pronounce words in Korean, the easy way! One thing that I can’t stress enough is that pronunciation is so important in the Korean language. Even if words look similar, they can have completely different meanings. Here’s one of my favorite examples: 살사 / 설사. There’s only one letter different, but there’s a huge difference in meaning. The first one is salsa (dancing) and the second, seolsa, means diarrhea. Hangul is actually one of the best alphabets in the world. Each letter maintains the same sound no matter what word it’s used in, which makes it very easy to learn. English is actually very difficult to read because we have words like “read” that you pronounce differently depending on context. The problem with hangul isn’t actually on the Korean side, it’s the English romanization. It doesn’t always make sense and it often leads to the absolute butchering of Korean words. The English signs in Korea lie to you. Well… to your brain, at least. If you can teach your brain to read the Korean sounds instead of the English letters, you will have a much better grasp on what you’re saying… and Korean people will too! The problem lies in the vowels. The column on the left is what you’ll see in the English romanizations of Korean words, the middle column is the Korean letter and the final column is how to pronounce it. I’ve highlighted the sounds that are the trickiest. Let’s first talk about the A. It’s a soft A sound so imagine it has an H on the end… ‘ah’. For example: the word man should be pronounced mahn. More examples of this sound are father, arm, on, box. An easy rule for the O sound is that it is almost always pronounced as a long O sound. As long is there’s not another vowel attached to the O, it will always be pronounced ‘oh’. Most foreigners I know mistakenly confuse the A and O sounds. If you see an O, it’s never pronounced ‘ah’. EO is probably the trickiest of all of the sounds. Every time you see it, change it out in your head with a short U sound (uh). Some examples of this sound are ugly and run. U is almost always pronounced like ew or oo (example: tube, root). This rule of pronunciation is pretty standard for road signs and names of cities/areas. Note: Occasionally people or companies with an EO sound in their name will change it to a U. Hyundai is a good example of that. Dumplings are delicious, but the Korean word for them is often pronounced incorrectly. Remember, man is pronounced softly so it sounds more like mahn… or maybe changing it to an O in your head will help with pronunciation. Mondu makes much more sense in English, doesn’t it? This is one of the words I hear mispronounced most often. It’s that pesky EO sound again! A lot of the foreigners I know pronounce it sort of like In-chee-on. Remember… change that EO sound with uh… or make your brain read it as Inchun. Oooh this is a tricky one! Most foreigners I know pronounce this word exactly like the English word soul. You might be surprised to find that this isn’t the correct way to say Seoul. In fact, Seoul has both the EO and the U sound. The correct pronunciation is actually Seo-ul or Suh-ool. It’s a really difficult pronunciation for most English speakers, which is why we typically pronounce it ‘Soul’. Busan’s most famous beach is a good example of the U sound (ew) being mistaken for the EO (uh) sound. The correct pronunciation is Hae-oon-dae. Note: It’s hae, not hi and dae, not die. I think each English speaking country pronounces this company’s name differently. In the US we drop the Y. I always get strange looks in the US when I say it the Korean way: hyeon-day. In the US we incorrectly pronounce this word tie-kwon-doe… In Korean it’s actually tay-kwon-doe. If you found this article helpful, please comment below and let us know. Also, follow us on Facebook for more! This entry was posted in Culture, Learn from my mistakes!, Uncategorized and tagged expat korea, how to learn korean, Korea expat, korean characters, korean phrases, korean pronunciation, korean vocabulary, korean words, learn korean alphabet, learn korean online, living in korea blog, teaching english in korea blog by Meagan & Dave | HappilyEverExpat.com. Bookmark the permalink. It’s so funny because i actually remember having a convo with a friend about the pronunciation of hyundai when i first got here. even though i know how to properly say it now, i think i’d feel like a weirdo saying it how it’s actually pronounced if i was home. good informative post! I actually forget that there’s another way to pronounce it until I go home and people look at me strange when I say it. Or my brother makes fun of me for it! Ulsan has such a huge Hyundai presence that it’s hard to go a day without saying it. I’ve seen signs using the old romanization method and I think they were easier to use for English speakers and got us closer to the Korean sound of the words. (Kyongnam instead of Gyeongnam for example). Don’t understand why they decided to change it. They changed it because if you make that a “k” for “ㄱ” then what the hell do you do for “ㅋ” which is definitely more of a “k” sound? Also because “u” or “o” have very different sounds in English “eo” helps to separate the Korean vowels, which do not vary in sound. Of you learn “eo” is always the vowel 어 then interpreting the Romanization becomes easier. Exactly, Mike. My hope for this post is that it helps people learn the sounds of the romanization, to train your brain to read EO as uh and O as oh, etc. Thanks for this. There ARE some people out there who don’t come here to learn Korean. Those who ridicule that practice should just get over themselves. Guides like this are worth every word. Great post! I know more people that can’t read Korean than can. I actually wrote this post with them in mind. I think it’s great that so many people are advocating for learning to read Korean though. Even if you don’t want to spend the time to learn to read, learning how to read the romanization can really make your time in Korea so much easier. Whenever my coteacher’s give me the list of students at the beginning of the year, there is always an awkward conversation about how I really appreciate their effort to accommodate me, but to please! PLEASE! give me the list in Korean! Every time I try to read a student’s name that has been romanized I get laughed at because I ultimately mispronounce the vowels! I would much rather my students not make fun because of differences in our phonetic alphabet! Good and informative post! My students laughed at everything I said in Korean, even if I said it correctly. Evil little buggers! 😉 It took me 6 months to learn how to read Korean (I just sort of absorbed it, never really studied) and before that, I never knew what any of my students names were because they only rosters were in Korean. I can see how English rosters would be a flop though. Names are more difficult because some use EO for uh and some use U. Great post! Like you said, even though it’s relatively easy to learn Hangeul, for those who don’t this will be a great resource. I definitely had a few awkward mispronunciations when I first showed up. That 살사 / 설사 bit made me chuckle. Before I learned what 설사 meant, I’d wondered why students laughed whenever I talked about burritos. I think the hardest sound for me to master was the ‘eo’ sound. I’ve gotten a lot better at making the correct sound the more I’ve practiced, but I still get laughed at every once in a while. Just gotta keep trying! No problem. Glad you found it interesting. Thanks for reading! 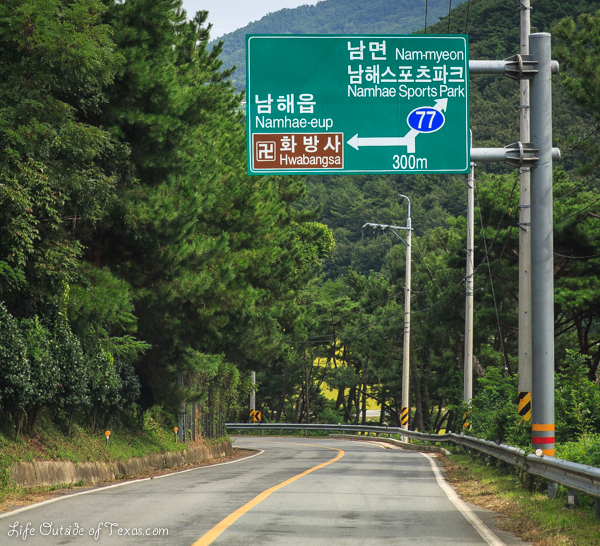 I moved to Cheonan in 2006 (before later moving to the outskirts of Seoul) I totally pronounced Cheonan completely wrong before I left the UK. I thought I was moving to Chee-oh-nan ha! I enjoyed learning to read Hangul and it made life so much easier. Living in Beijing I really miss being able to read properly! This is really helpful but I have trouble pronouncing a girls name at work. HyoRyung. Can you help me please? Names are a bit more difficult because they don’t always follow the pronunciation rules. I don’t want to tell you wrong. Do you have it written in Korean? Reblogged this on In My Little Secret Place. I’m so glad you found this useful! And thank you so much for the comment to let me know. I like it. I don’t suppose you have a list (with how to pronounce) for the entire Korean alphabet? Last time we was riding Space A (last September), my wife and I met an American guy that also spoke pretty fluent Korean and Japanese. The only languages I speak are English, Texan, a little bit of Spanish and a very little bit of Tagalog (Filipino). Thank you, I will memorize these. Thank you very much, this article helped me a lot just to quickly master the sounds of romanized Hangul. Here I am trying to read along with Korean song lyrics and I’m so confused – “Whaaaa?? None of these words look or sound like what they’re saying!” This helped a great deal, thank you. Next step, learning to read it! (The pronunciation is so much harder than learning the alphabet, which is quite easy haha). I’m so glad this helped you! It’s definitely a little overwhelming when you try to read romanized Hangul. And it’s amazing how many things you realize you’ve been pronouncing wrong all along too! ha At least that was the case for me. Reading won’t take you long and it will also help with wrapping your head around the romanization. I found your article interesting. I have been trying to learn to say Korean words but found getting the right sounds difficult. I wonder if you have any articles on the consonants like G, J, TT and R? G and J are pretty straight forward. Double T and R are a little more complicated. Wish I could help, but my guide is just a really simple one. Hope you find what you’re looking for! Thanks for taking the time to comment. Congratulations on learning Korean! Sorry I can’t help with more than just alphabet related topics. I can read Korean, but I’m not fluent! Good luck with your lessons. Thank you, make so much sense now. Please do more!! !